Pooja of Notabilia and I recently had the privilege to present a short 10 minutes presentation on Community Book Arts during the Maker Meetup event organised by SG Makers. It was a fantastic opportunity for me to rethink and set down what The Thistle Bindery meant for me, beyond just a hobbyist art practice that I started one year ago. This post is accompanied by slides presented in my segment. 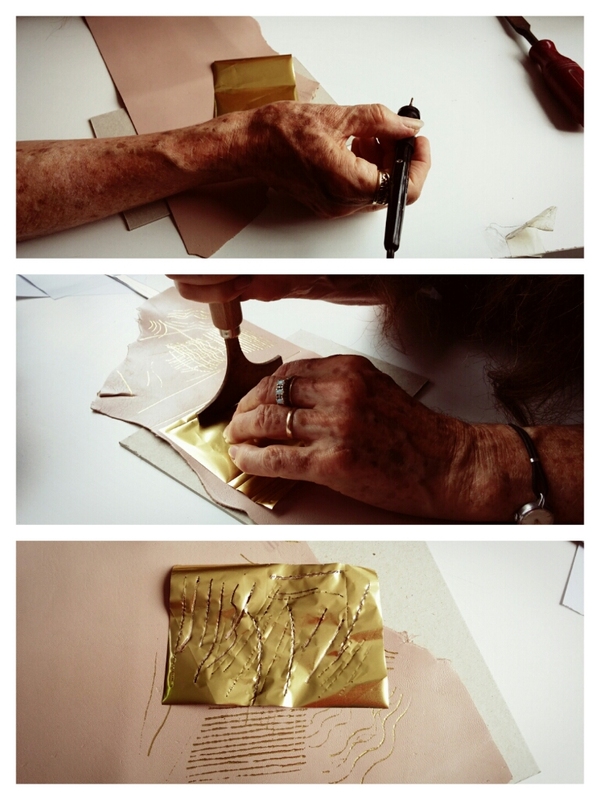 After conducting more than 20 workshops, the bindery had taken on a life of its own. Similar to a real bindery business, I find myself dealing with everyday logistics problems and administrative issues such as looking for spaces to teach bookbinding workshops and sorting out sign-ups, payments and donations to the charity beneficiaries, etc. There were also moments of contemplation and reflection. Tricks and tips simply learnt and absorbed during my training had to be rationalised and distilled to participants in my workshops. Tools that were not available in Singapore were substituted with those found easily in hardware stores and haberdashery shops, often after a long period of trials. This period of gestation before I started teaching in 2013 was an important time for me to become aware of the bare essentials in my craft and how the potential of simple tools can be maximised to perform as well as bookbinding specific tools such as laying presses, guillotine and rollers. What excited me the most was seeing how the book arts community had grown through the regular [ A Bookbinding Cause ] series of workshops. Familiar faces appear at consecutive workshops; contacts and connections were forged among participants and regular comments and messages were left on my Facebook page. What left the most indelible impression was perhaps realising how small and connected the creative circle in Singapore was. There are crafters who know makers, designers who talk to 3D printing tinkers, as well as a whole group of weekend artists with interesting day jobs and the passion to pursue their chosen craft in their free time. Initiatives such as Urban Sketchers and Sg Makers inspire and help define what it means to build a community. Particularly, the “many hands” approach in organising activities is important in vesting ownership in everyone and to allow events and encounters to happen spontaneously. Building The Thistle Bindery allowed me to come in contact with many supportive people which I am indebted to. 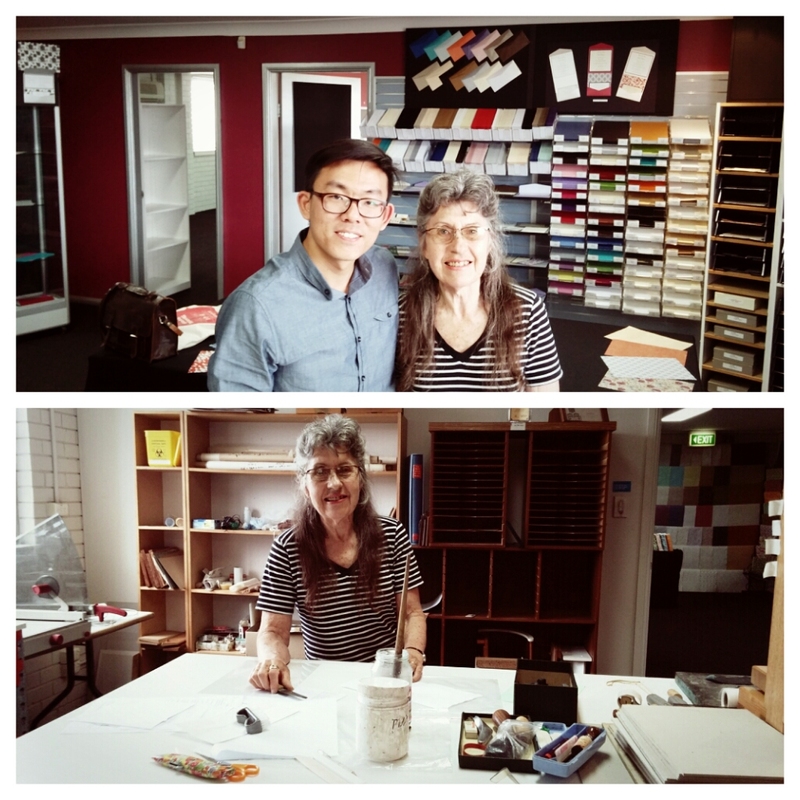 Some had came forward to provide a space for the charity bookbinding workshops, such as Jing, Colin and The Arts House; others who had given me a platform to test out ideas and showcase my skills, such as William and the wonderful girls from Trade School Singapore. Such avenues were and are still great training grounds for my practice and they helped build up my experiences incrementally towards loftier ideas like advocating the use of bookbinding and other artistic mediums in cultural mapping and urban studies activities. 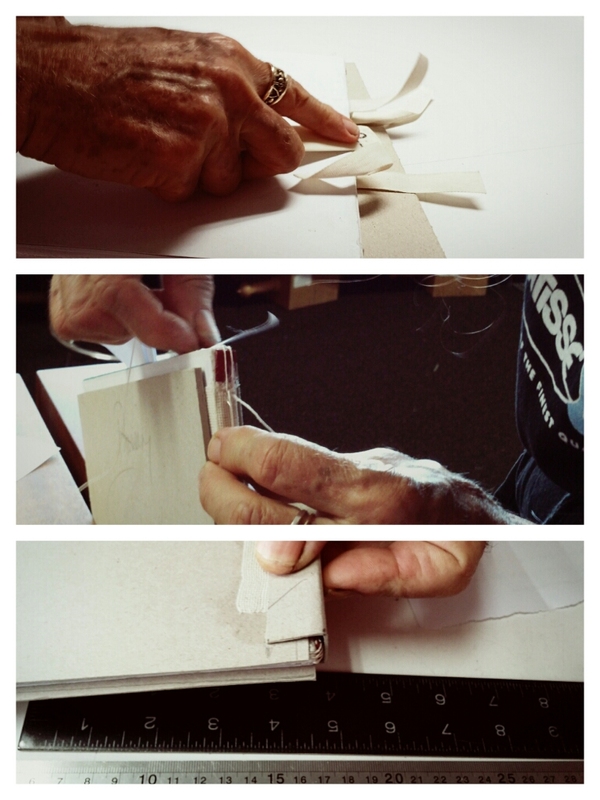 The Thistle Bindery’s bookbinding pursuit can be represented in a wider community context akin to a drop in a pool. A pool of like-minded crafters, educators and thinkers, not just in Singapore, but regionally and internationally. At the apex of the practice is a constant yearning to learn more advanced bookbinding techniques and at the same time, to regularly rekindle the love for the craft and to connect with my beginning. Owl and Lion, where I first learnt bookbinding will always be a magical place of endless possibilities. The core of the practice will still focus on bookbinding workshops where I hope more people will be interested to learn. [ A Bookbinding Cause ] remains as the practice’s flagship programme and vehicle to raise funds for charity while imparting traditional bookbinding skills at affordable rates.